Last month we saw Lincoln take the wraps off its newest flagship SUV – the 2015 Navigator – and with it waved goodbye to the last V-8 engine (for now at least) from that storied automaker. This week Ford is debuting the next Expedition full-size SUV that also sheds the V-8 for the powerful, economical twin-turbo EcoBoost V-6. 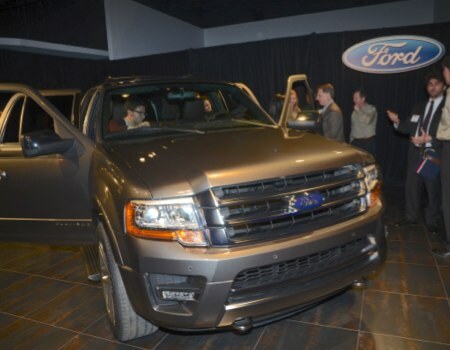 Ford debuted the 2015 Expedition in Dallas on the eve of the DFW Auto Show. When asked why they chose the timing of the reveal Ford executives stated that 40 percent of Expedition sales are from this region, and the fact the debut party is literally right around the corner from where Chevy recently debuted its next-generation full-size SUVs was merely coincidence. As with the Lincoln Navigator, which shares the corporate full-size SUV platform of the Ford, the 2015 Expedition is mostly carry-over underneath the skin and interior. The new model gets an all-new front end design along with new wheels and a redesigned rear hatch. There will also be a new range-topping model called Platinum that receives unique Brunello leather interior appointments with tuxedo-strip accents and French-seamed stitching. 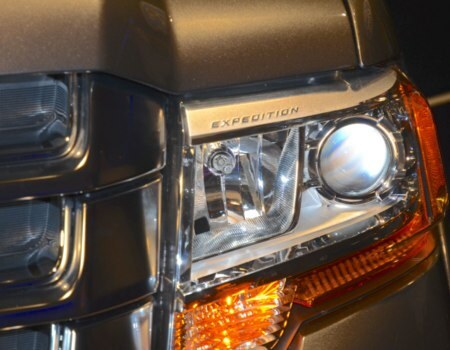 As I already mentioned, the 2015 Expedition will be the latest Ford vehicle to wear an EcoBoost badge. While no power or fuel economy specs were given at the debut, Ford says the new engine will out-perform the outgoing 5.4-liter V-8 in both those arenas. Other new technologies to be offered in the 2015 Expedition include Blind Spot Information System with cross traffic alert, electric power assisted steering, available suspension damping and the latest SYNC and MyFord Touch infotainment systems. 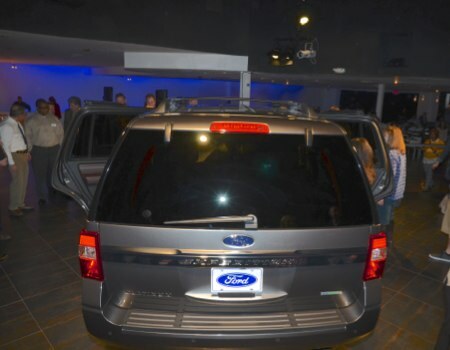 The 2015 Ford Expedition will be offered in standard and extended wheelbases and pricing information will be announced at a later date, closer to the release date slated to be some time around the end of summer this year.